Thames Reach service users put on three truly powerful performances at the National’s Olivier Theatre alongside 200 other cast members. 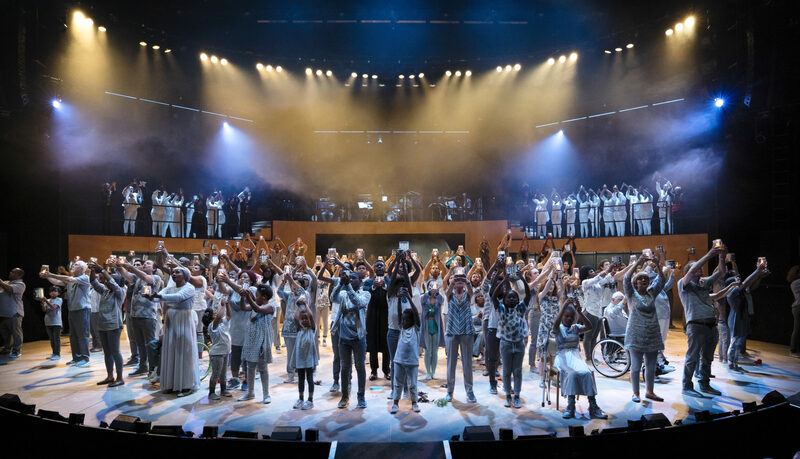 Pericles, written by William Shakespeare and adapted by writer Chris Bush from the National Theatre, was the first production in the Public Acts initiative – a new programme of sustained partnerships with communities and theatres across the UK, working to create ambitious new works of theatre. Rehearsals took place at the Employment Academy in Camberwell over the last 10 months, where service users and staff worked hard in preparation for their big stage debut. Through this project, Thames Reach service users have been able to build their confidence, work as part of a team and most importantly, have some fun whilst making new friends within a creative space. “On the first day of rehearsals, I didn’t want to say my name. If you’d have asked me to speak in front of 100 people, I would have said no. But I’m pleased to say I have done that now”. After having his foot amputated some years ago due to a serious gangrene infection, Gary struggled with finding suitable employment and battled with low self-esteem as he adapted to his new lifestyle. “I always felt hidden and like people couldn’t see me, but being part of Pericles has made me feel human again”. Pericles is the story of a Prince who has everything, yet understands very little about the world. After being separated from his family and banished from his kingdom, Pericles embarks on a voyage of discovery encountering different communities and kind strangers along the way as he tries to find his way home. As the story unravels, it becomes a question of what ‘home’ and ‘family’ really means, and only by reaching the end of the earth may Pericles finally understand what it truly means to come home. Through this adaptation, the audience were treated to a delightful, energetic and surprising mix of acrobatics, cheerleading, a drag performance and waacking, as well as ska music, gospel singing and a club anthem – all carefully assembled to depict the diverse cultures and communities in London. The show felt inspiring, uplifting and oh so heartwarming. It was a true celebration of people coming together from different backgrounds and succeeded in achieving exactly what the Public Acts initiative set out for; ‘to empower service users through the act of creating theatre together’. “Being part of Pericles really saved my life. I was lost, and it gave me a routine, occupied my mind and gave me hope for a better tomorrow. “What I have been through is something that can happen to real and ordinary people, and I am eternally grateful for the project and the directors and crew who encouraged us and made us feel excited. It felt good to entertain someone”. “Thames Reach would like to say a huge well done and congratulations to all the cast and crew for their hard work and extraordinary efforts in this production. “People who have felt they had to hide for most of their lives have literally become centre stage. “We have seen a stupendous change in the way clients walk, talk and hold themselves – it is just amazing. 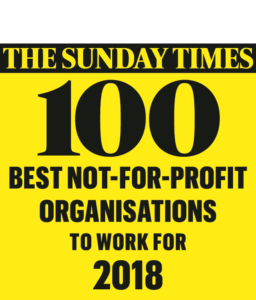 “We hope that this is a starting point for all the clients, volunteers and staff who took part to believe they can face their challenges head on. “Everyone should be extremely proud of what they have achieved and we look forward to seeing more Public Acts performances in the future”. In true theatre style, the show must go on, and the next series of workshops and rehearsals will begin at the Employment Academy in Camberwell in October, ready for the next big production in August 2019. All partners of the Public Acts initiative include; Body & Soul, The Bromley by Bow Centre, Coram, DABD, Faith and Belief Forum, Havering Asian Social Welfare Association (HASWA), Open Age, Queen’s Theatre Hornchurch and Thames Reach. Pericles ran at the National’s Olivier Theatre from 26 – 28 August.